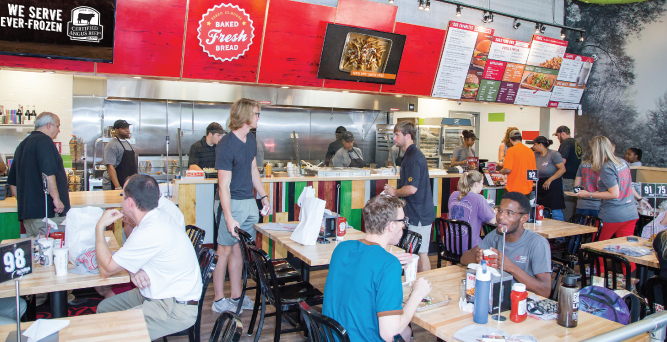 MOOYAH Burgers, Fries & Shakes is an award-winning, fast-casual, “better burger” concept that creates and provides an exceptional guest experience which includes mouthwatering, high quality, made-to-order burgers, in an open kitchen. Founded in 2007 in Plano, Texas where the mission for ourselves and our Franchise Owners is to deliver the best burger, fry, and shake experience EVER - and have fun doing it! We serve fresh, 100% Certified Angus Beef® brand burgers, all-natural Jennie-O® turkey burgers, black bean veggie burgers, and all-beef hot dogs. 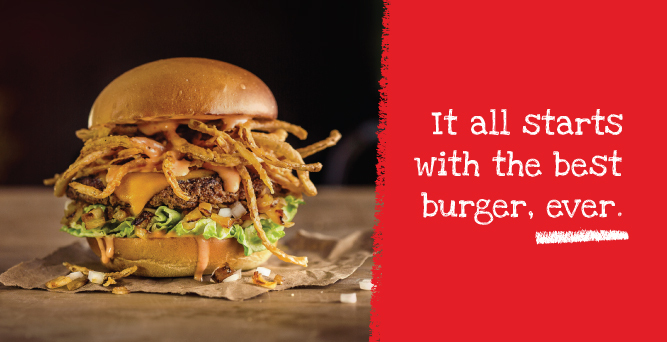 MOOYAH’s non-GMO potato and multigrain buns are baked in-house daily and our guests can choose from five real kinds of cheese, bacon, avocado, and 20 different, free sauces and toppings that are made from garden-fresh veggies. Additionally, our shakes provide guests with the opportunity to choose from seven different flavors of 100% REAL ice cream shakes, including vanilla, Hershey’s chocolate, Reese’s, Oreo, and more. Our wide array of choices bring the customers in and our flavor and atmosphere keeps them coming back for more! 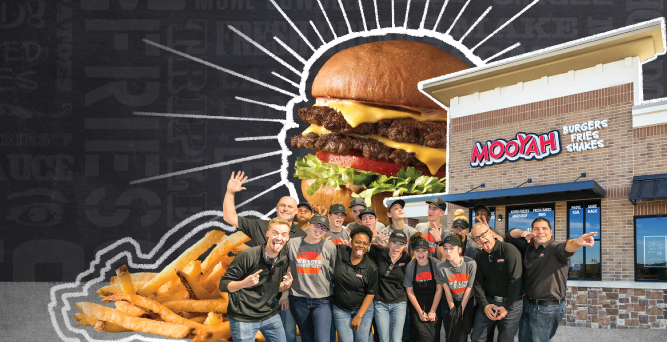 As we continue to find success in new markets across the country, MOOYAH Burgers, Fries & Shakes aspires to be the most-wanted “Better Burger” brand, and to be a destination that brings people together over a love for exceptional quality food and shareable experiences in a fun, come-as-you-are environment. A Beautifully SIMPLE Model - Our core menu consists of three main products with a lot of variety - burgers, fries, and shakes. This allows us to streamline our kitchen with build-out costs that are much lower than our competition which provides our Franchise Owners and their team members the ability to streamline their focus on food quality and delivering an incredible guest experience. 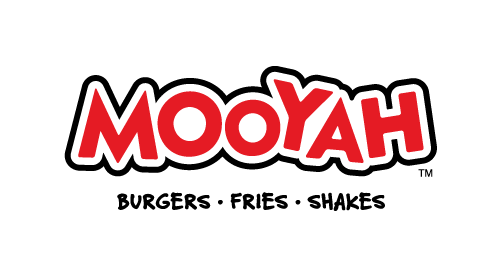 Serious MOOYAH Moolah – Our Average Unit Volume is a strong $831,336. Our top 10% of Franchise Owners average $1,346,744. Cha-CHING! LOWER RISK / Higher Reward – The average investment costs for high-end burger concepts is around $1 million. For the last decade, we’ve focused on lowering this cost without restricting our ability to create beautiful, high-quality restaurants. Lower build-out costs mean faster ROIs. SHARE the Wealth - In addition to being known for having the best burgers in town, our Franchise Owners feel great about the many different philanthropic opportunities that they’re involved with in an effort to give back to their communities. 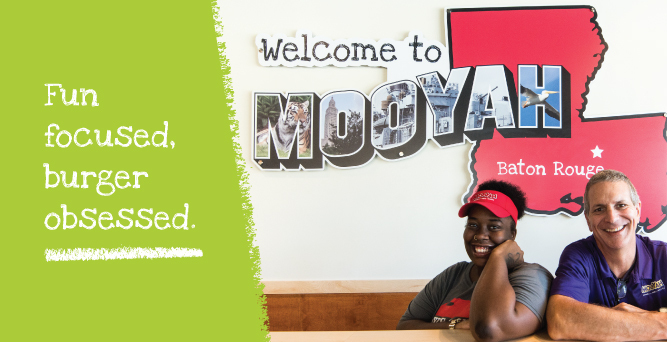 For our MOOYAH Owners, making a difference is just as important as making a buck. Hospitality Gene – You get pleasure out of helping people, whether it’s your employees, your guests, or your wider community. You are people-oriented and want to provide a welcome environment for all. Strong Business Acumen - You have a background in the corporate world or owning your own business which includes knowing how to manage a budget, maintain a P&L, and manage inventory and costs to maximize profitability. Problem-Solver – You are nimble and you think quickly while on your feet and on the go. You find solutions to problems quickly and efficiently which ensures a highly satisfactory experience for everyone, no matter the size or scope of the problem. Passionate & FUN – You’re passionate about our products, our experience, your employees, your guests, and your community. You love burgers, fries, & shakes, everything the brand stands for, and most importantly, you want to have fun in everything you do! If so, request more information today! !